I’m fairly convinced if Diagon Alley was a real place Asrai Garden would have a location there. Walking into their newly opened second location in the Ace Hotel Chicago at 309 N. Morgan is like walking into the chicest cabinet of curiosities you’ve ever seen. Witchy, but make it luxury. At least three times the size of the original shop, the second location boasts the exotic florals and intriguing trinkets many have come to know and expect from Asrai, but the new space features those and much more. From bespoke fine jewelry to handmade leather goods and artisan tarot cards, their selection is like nothing you’ve encountered before. Asrai Garden has a distinct identity and intoxicating energy; it’s full of expertly curated treasure. One of the most notable additions to Asrai’s collection is the meticulously selected range of skincare products. Enter Sangre De Fruta. 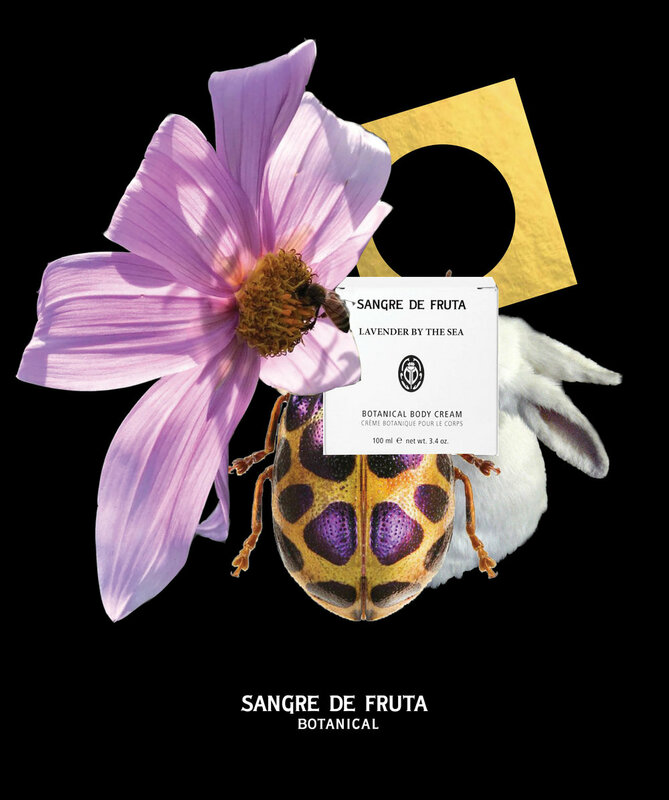 Both Asrai Garden and Sangre De Fruta share the same fundamental values and themes - those of magic, self care, feminine power, and indulgence of the senses.I was lucky enough to visit Asrai’s second location on their opening night and watch people discover Sangre De Fruta firsthand. With a cocktail in my hand (made with Asrai’s latest collab, a gin created in partner with Few Spirits) I looked on as one woman massaged Psyche oil into the back of her hand, smiling at its smooth texture. Another patron shut her eyes and deeply inhaled the scent of Rose no.1 Body Cream before immediately handing it to her friend exclaiming, “you have to smell this”. The room was wall to wall people with music pumping from the DJ booth but everyone experimenting with Sangre De Fruta was in a realm all their own, which, frankly, is kind of the point. 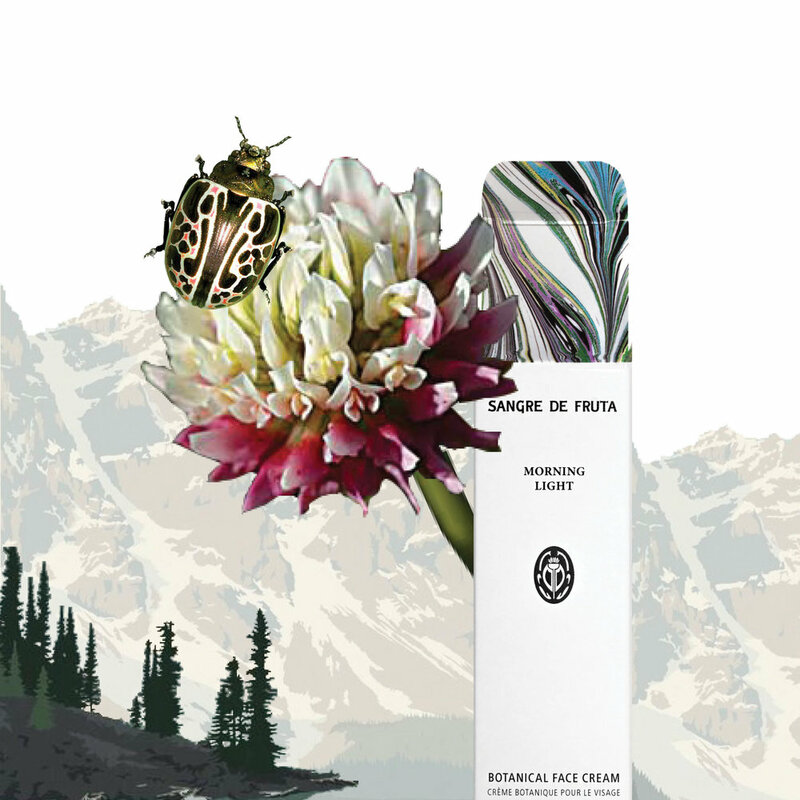 Everything about Sangre De Fruta encapsulates the deeply personal experience skincare can be, and everything in Asrai Garden is enchantingly personal. Should Elizabeth Cronin (owner of Asrai) and Allison Weldon (creator of Sangre De Fruta) ever decide to start a coven, you can bet I’d be the first to join. We’ll all have great skin, smell amazing, wear magnificent botanical crowns, and sip on cocktails made with Asrai’s new gin. We're honoured to be featured in the March edition of FASHION Magazine! Follow me @allison.audrey for behind the scene moments and creative inspirations behind Sangre de Fruta. Today felt like the first day of summer on the West Coast of Canada. We are proud to present the 200 ml Body Lotion, just in time for Summer. Like our Botanical Body Cream, the Lotion is purely made from oils, butters and essential oils. 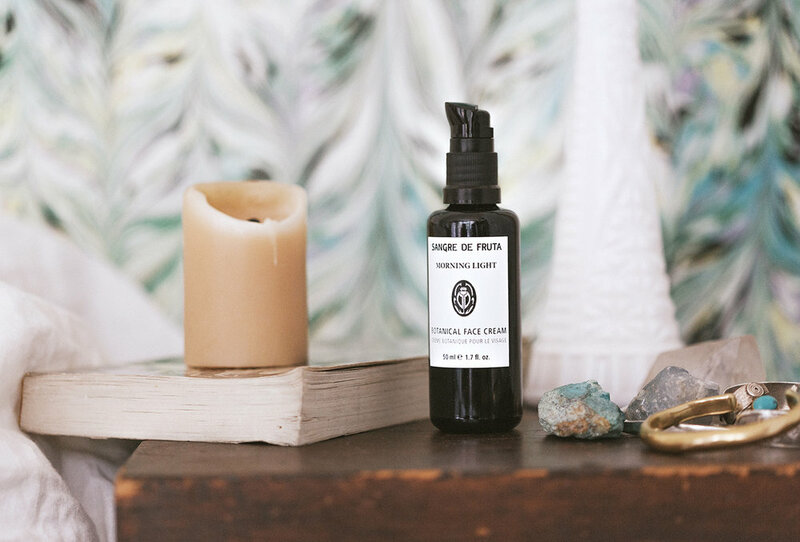 It's a special water-less formulation that offers a richness to the healing properties, as well as the texture. There are absolutely no fillers or synthetics preservatives - every ingredient is there to feed your skin. This unique formulation offers all the luxury of our signature cream, but in a convenient, fluid consistency. It is wonderful as an elixir to finish off a sun soaked day. The Lotion is available in our signature scents : Rose No.1, Neroli Forever, Melaleuca&Frank, Lavender By The Sea and Vetiver& Fleur, Chamomile & Anise. Shop the Collection.